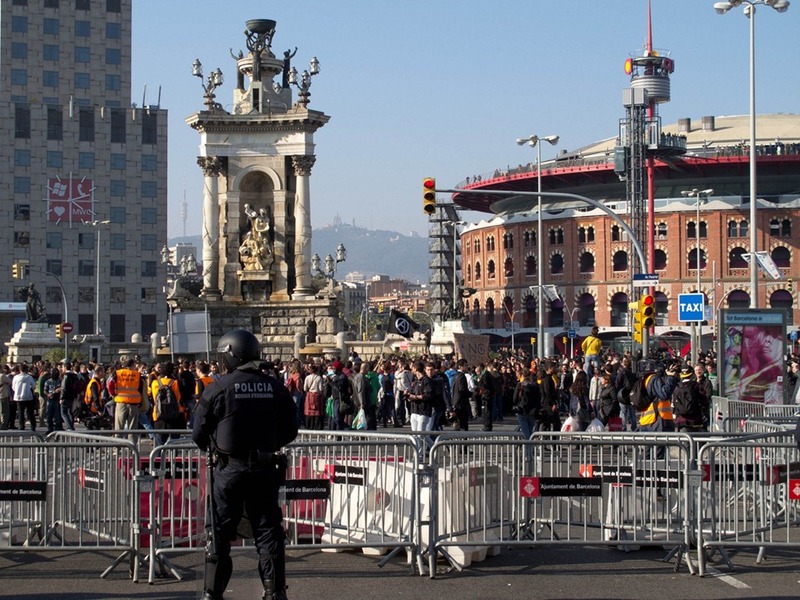 While I was in Barcelona I had the opportunity to experience my first ‘protest’. I was standing with a man from Columbia and he observed that the protest was around government cuts to education (They were University students – facing bleak prospect in a country with 24% unemployment and 40-50% unemployment if you are under 25 (depending on which news outlet you read)). The fellow from Columbia was amazed that the students kept away from police saying “Look at the way they do not approach the police”. I commented that it isn’t that odd. He stated that isn’t the case in Columbia – in his country the police fear the people, not the other way around. Moments later 20 paddy wagons came rushing in and riot police moved in. The crowd didn’t stick around. 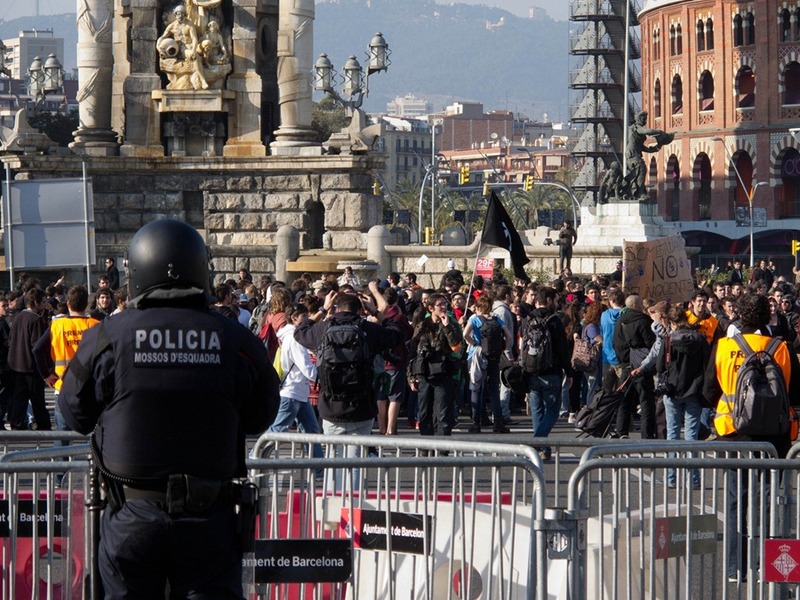 This entry was posted in News and politics and tagged Barcelona, culture, Photography, Protests, Spain, WMC by michaelweening. Bookmark the permalink.